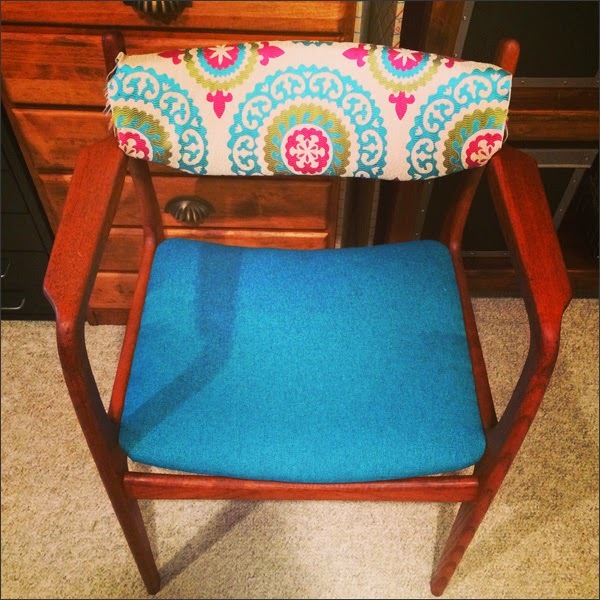 Thrifty By Design: My free teak chair is rockin'! 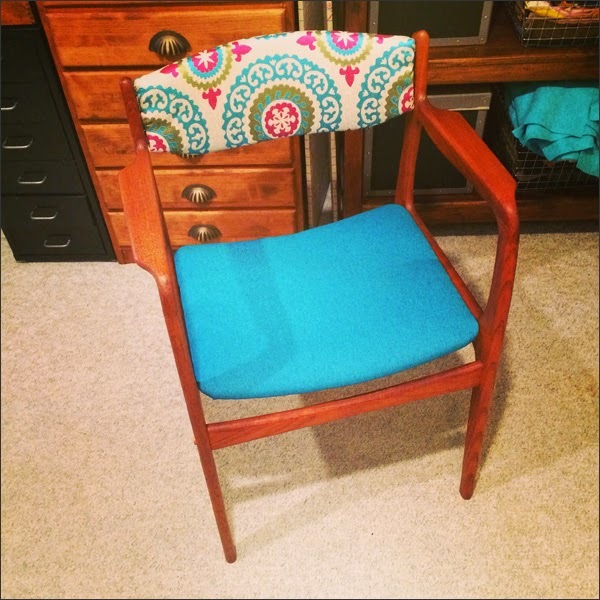 I found the before shot of the free teak chair I've been working on this weekend. 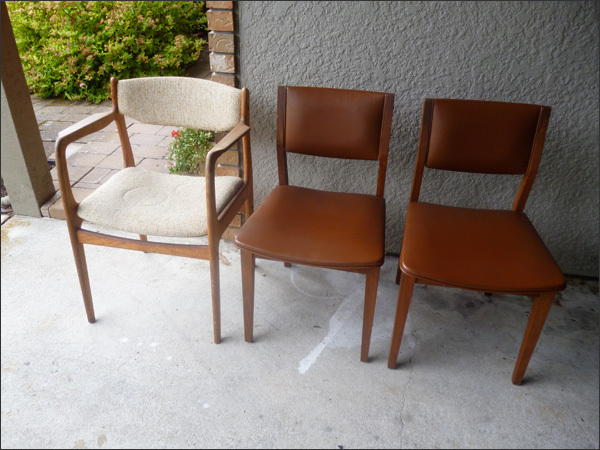 The chair on the left is how it looked when I got it. I started with a grey suede then changed my mind and left the chair for months. 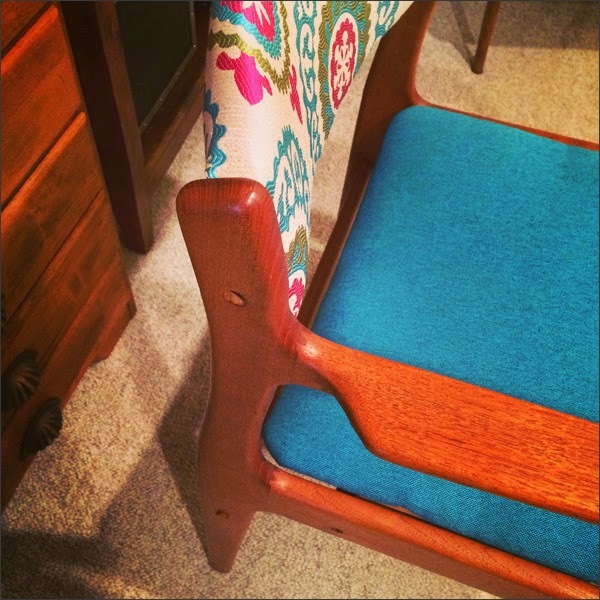 Then found the perfect fabric for the chair yesterday. 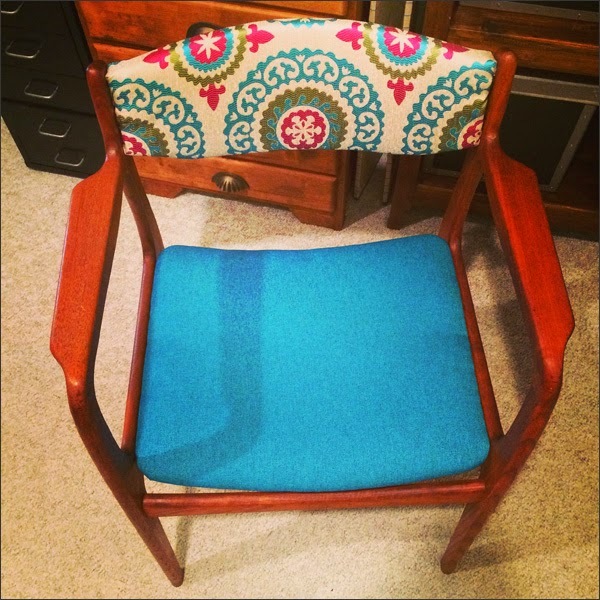 I upholstered the seat yesterday with a textured turquoise fabric. I got the patterned fabric for the back rest. I love how they look together! I 'placed' the patterned fabric last night and left it until today. Close to complete... 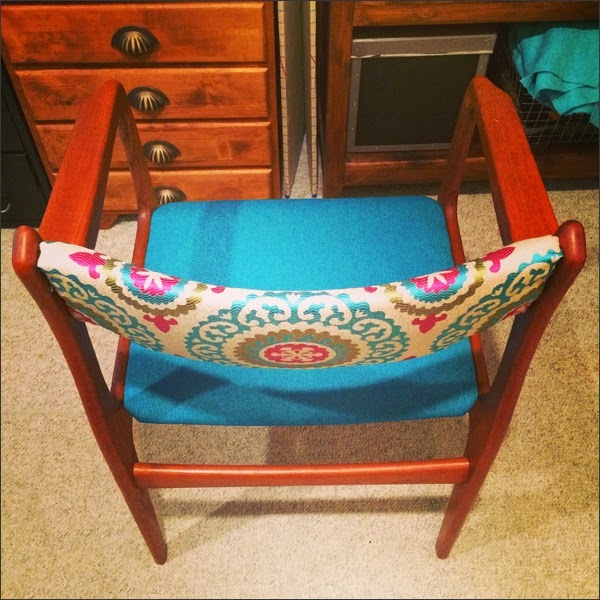 The back rest just needs to be tacked up along the sides. Here's the finished back rest. I just need to screw in the back rest and bottom to the chair. Then I'll add the teak plugs and sand the excess teak down. Here's the back... Starting to look darn pretty! 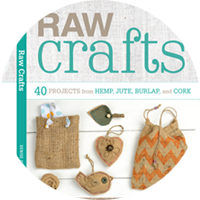 Now to take a breather from the chair refresh project. I'm hoping to have it complete by end of week. Next up - a simple thrift store vase update and then Crafternoon prep. Bring it on!